$180 for the 6-week series ($165 for PHA members). Call 508-693-9426 to register by April 16. Tuesdays April 23 through May 27, 3:30-5pm. Call 508-693-9426 by April 16 to register. 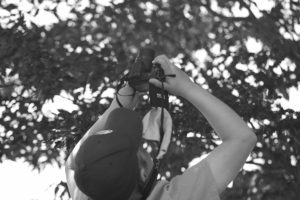 Polly Hill Arboretum will host a youth nature photography after-school program for students in grades 4-7, six Tuesdays in April & May. The classes will provide hands-on opportunities to connect to the local landscape, facilitate stewardship and advocacy, and develop a way of seeing that encourages a long lasting enjoyment of the simple beauty found in nature. Students will need to bring their own standalone digital camera (rather than phone camera), and will be introduced to the digital darkroom, as well as professional printing. This class will be led by instructor Melisande (Melissa) Blythe Knowles. Melissa is a teaching artist, photographer, and exhibits curator dedicated to improving the welfare of children, the elderly and vulnerable communities.